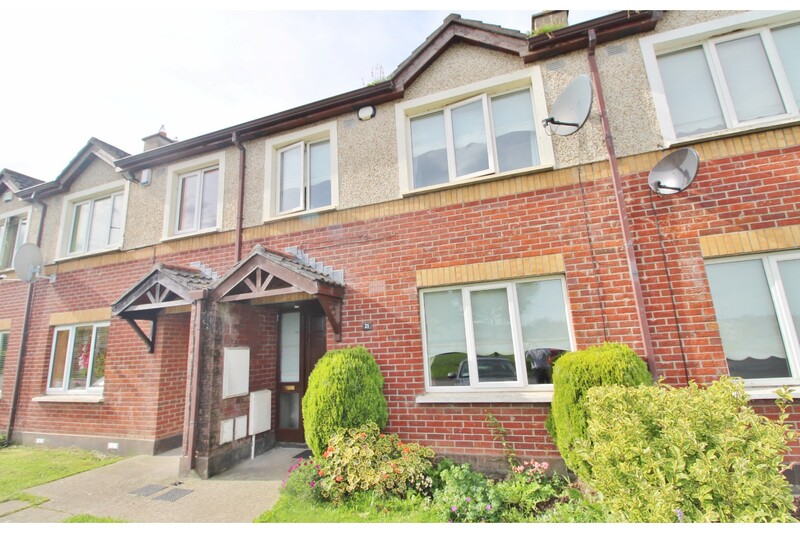 Castle Estate Agents are delighted to present 21 Ard Mor Drive to the market. 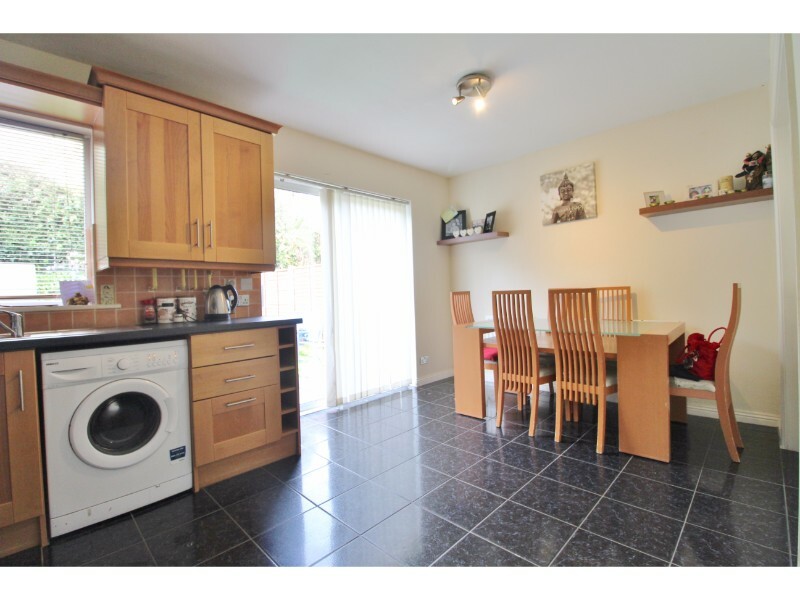 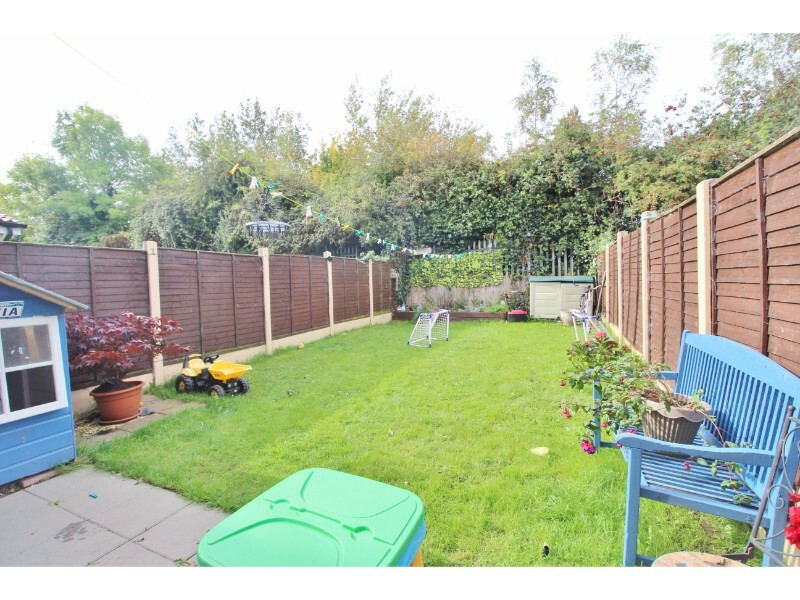 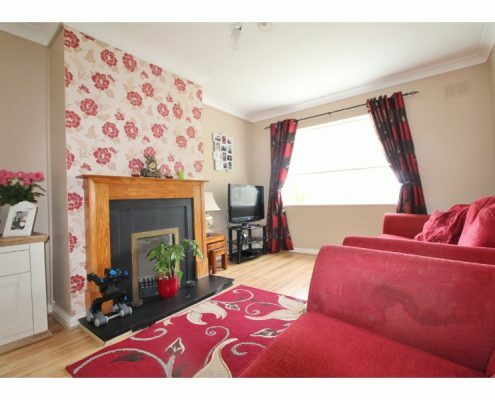 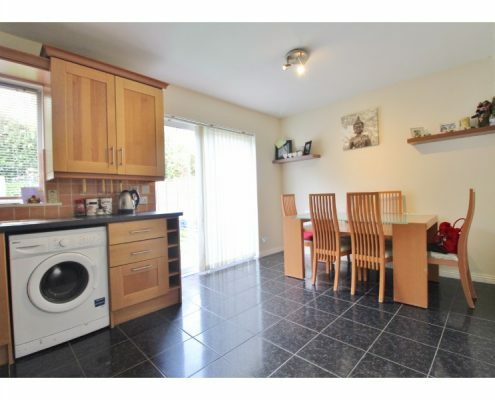 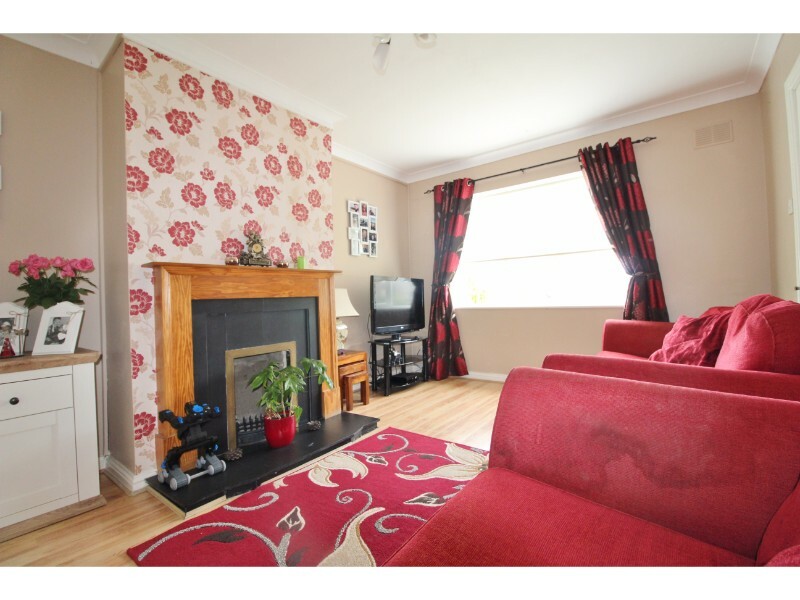 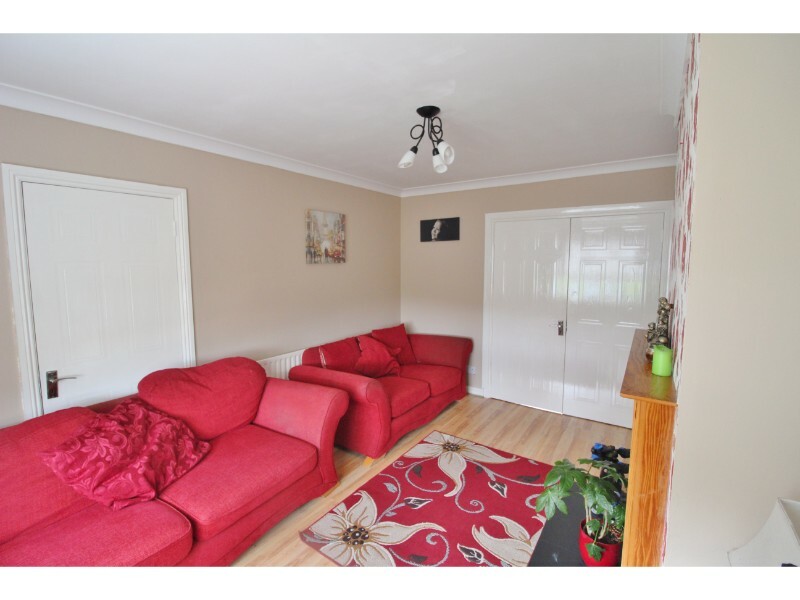 This superb three bedroom family home is presented in excellent order throughout and is ideally situated over-looking a communal Green close to Citywest Shopping Centre, LUAS, local shops schools, parks and bus and road routes (N7, N81 and M50). 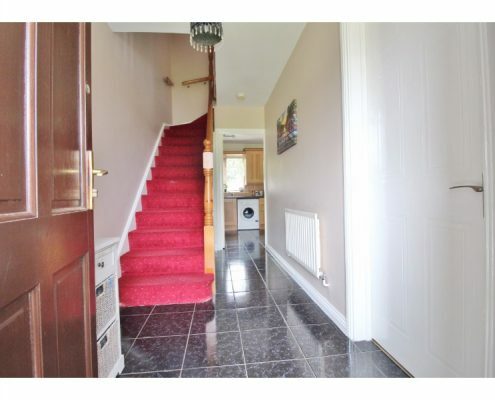 Located on this popular residential development this lovely property briefly comprises of a lounge with feature (open) fireplace, open plan kitchen/diner, three great size bedrooms and family bathroom. 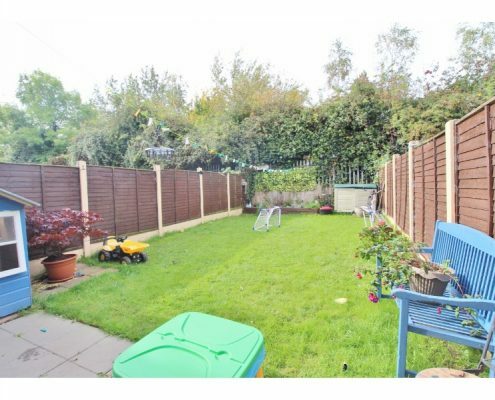 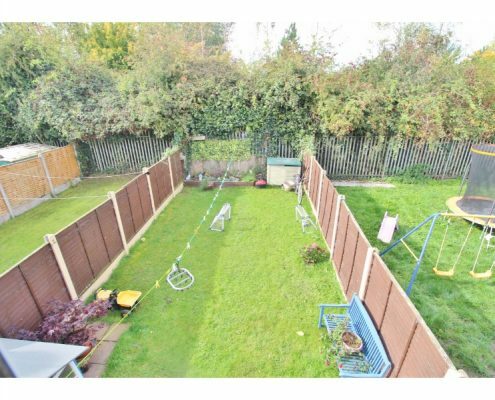 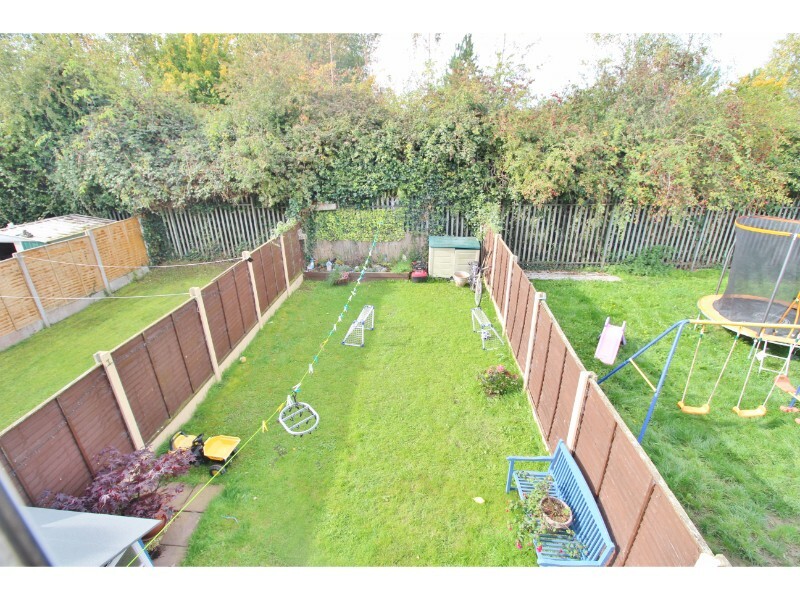 To the rear is a very private, not over-looked, south-west facing rear garden and to the front a smaller garden and parking. 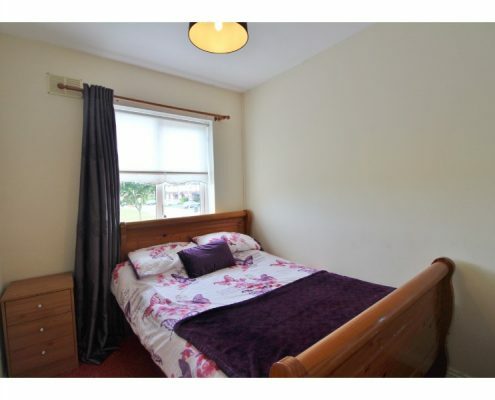 Further benefits include full double glazing throughout, gas-fired central heating, fitted wardrobes and alarm. 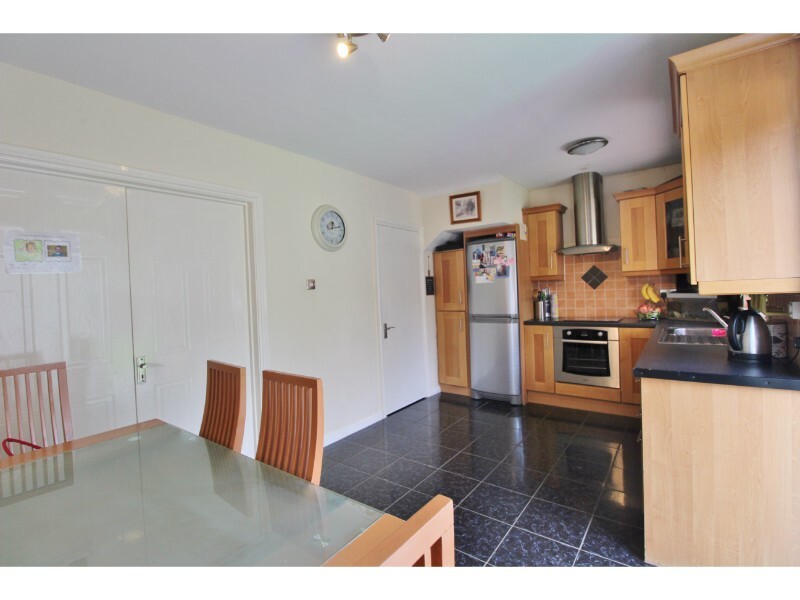 To view this superb property call today on 01 490 0700. 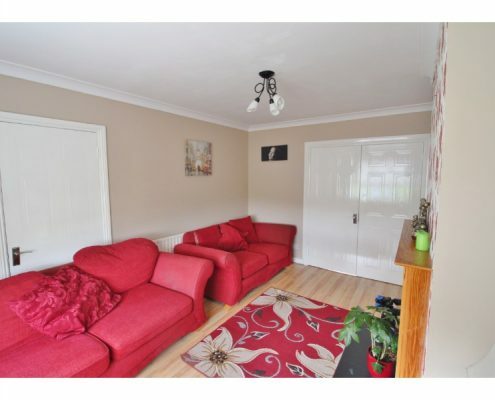 Lounge: 4.43m x 3.25m with double glazed windows to front aspect, feature (open) fireplace with slate base and surround and wooden mantelpiece, coved ceiling and double doors to kitchen/diner. 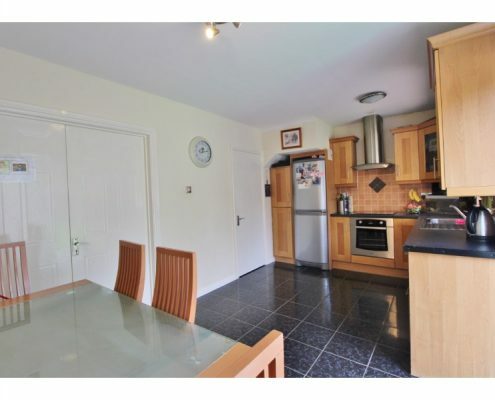 Kitchen/diner: 5.16m x 2.87m with double glazed sliding patio doors to rear aspect and garden, double glazed windows to rear aspect, ceramic tiled flooring, a range of eye and base level kitchen units with roll-top work surfaces and tiled splash-backs, stainless steel sink & drainer, integrated oven, hob and extractor, washing machine with plumbing, space for fridge/freezer and double doors to lounge. 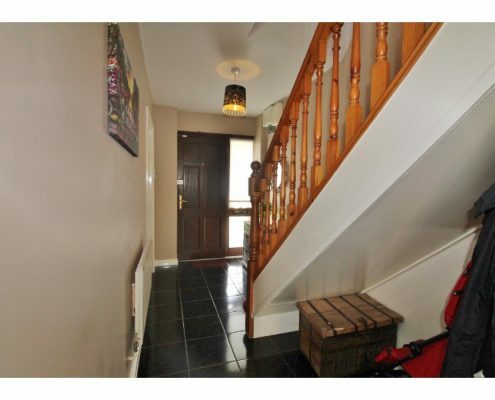 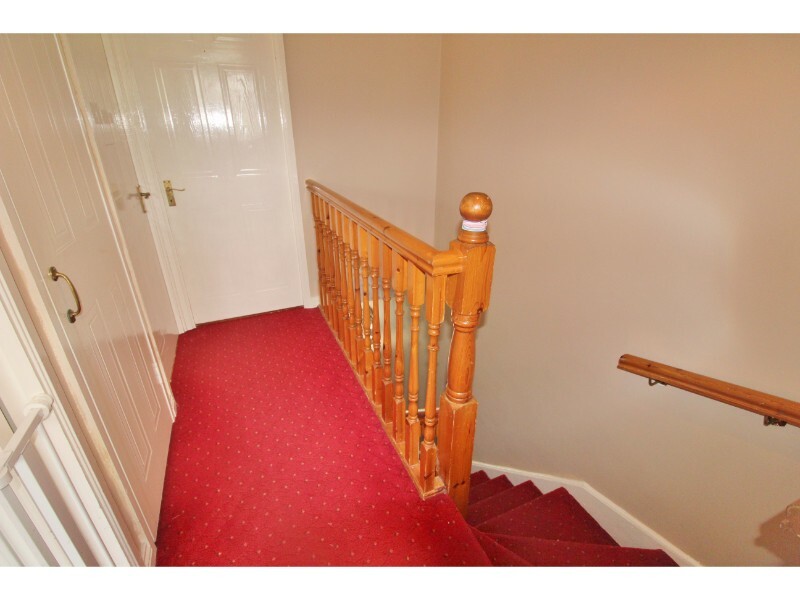 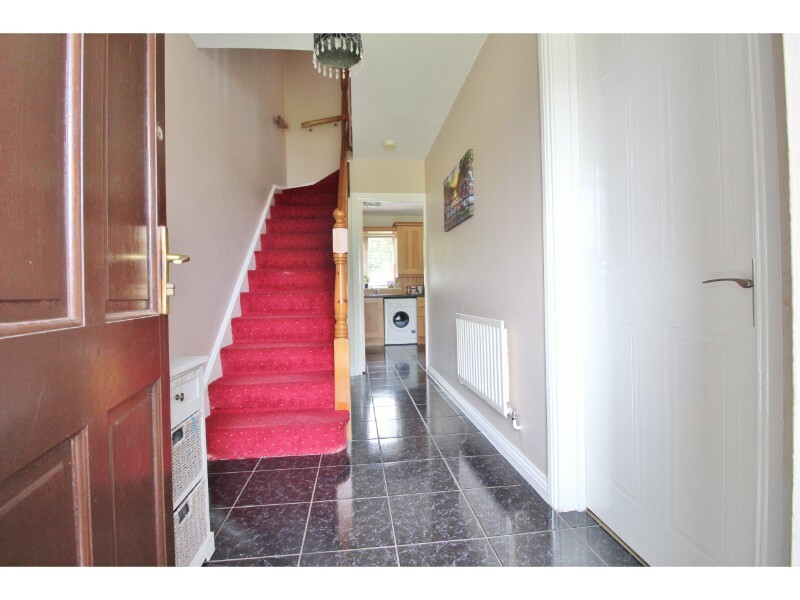 Hallway: 4.06m x 1.76m Covered porch to wood front door with double glazed, side window, stairs to first floor and alarm pad. Landing: 2.58m x 1.89m with hot press and loft access hatch. 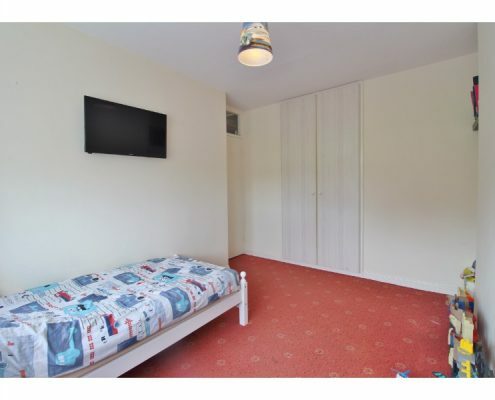 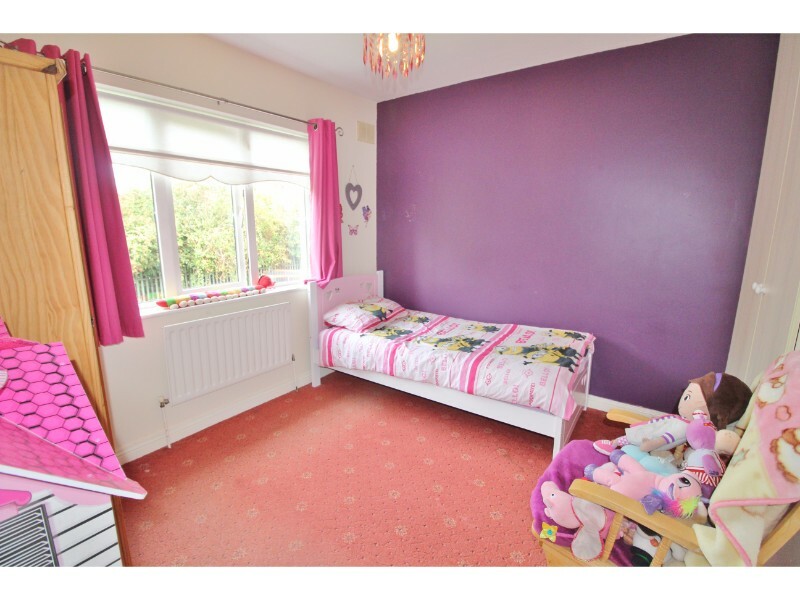 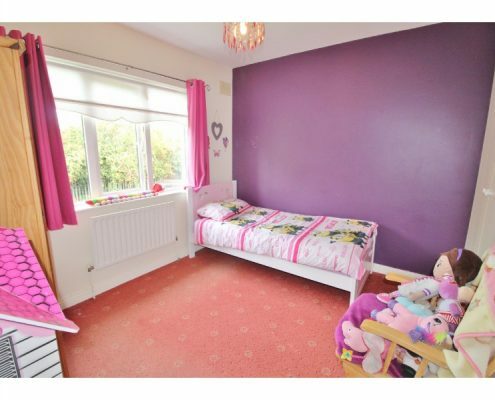 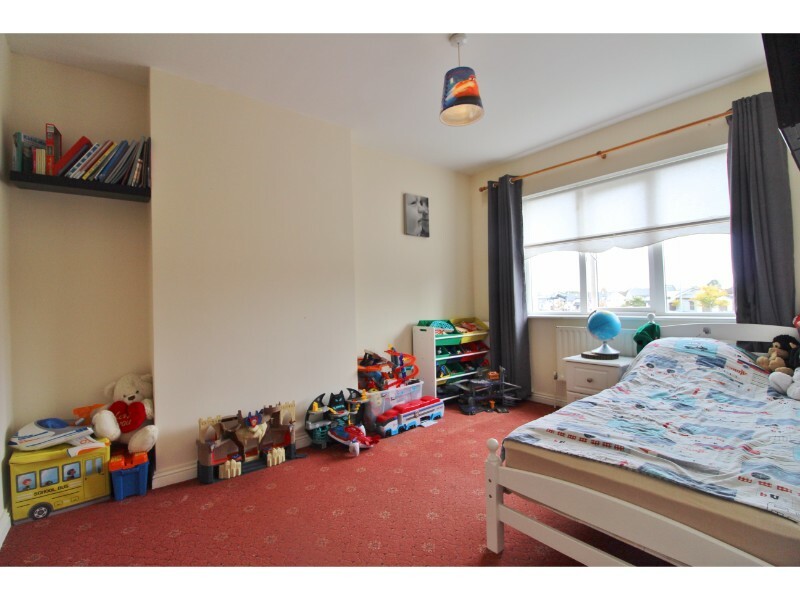 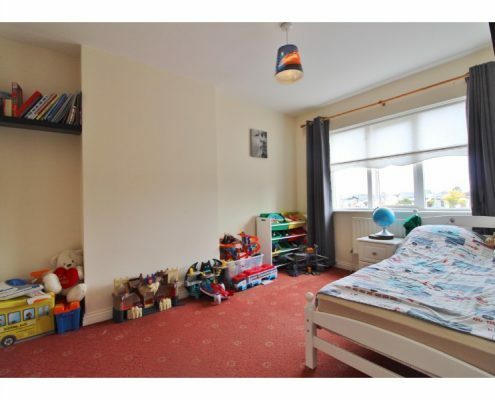 Bedroom 1: 3.80m x 3.21m with double glazed windows to front aspect, laminate flooring and fitted wardrobes. 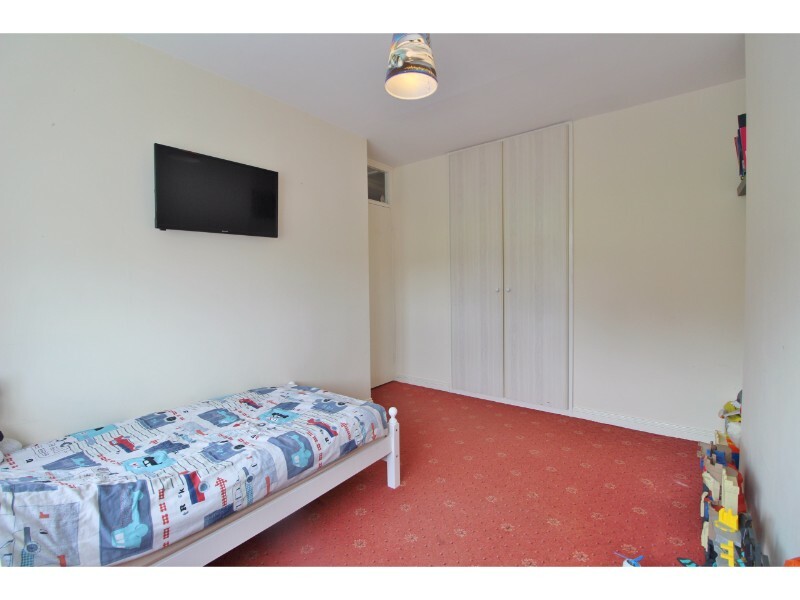 Bedroom 2: 3.21m x 2.82m with double glazed windows to rear aspect and fitted wardrobes. 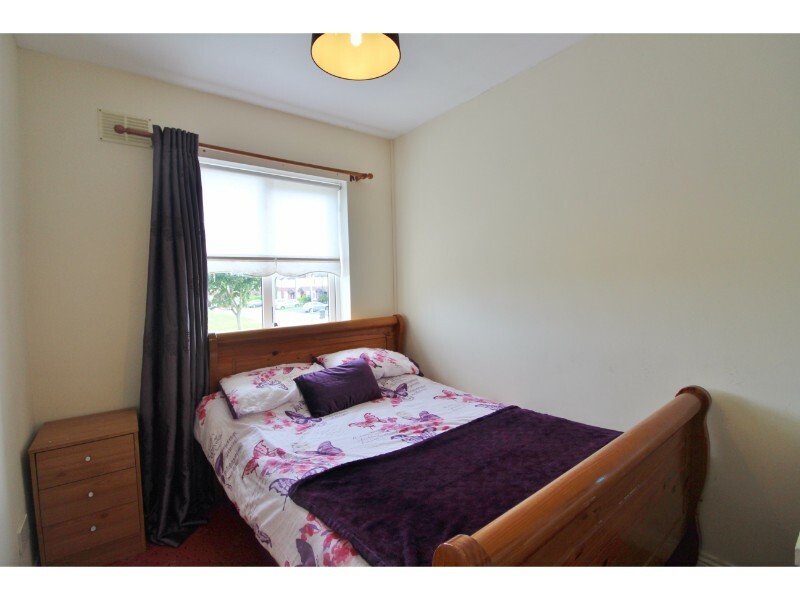 Bedroom 3: 2.90m x 2.29m with double glazed windows to front aspect. 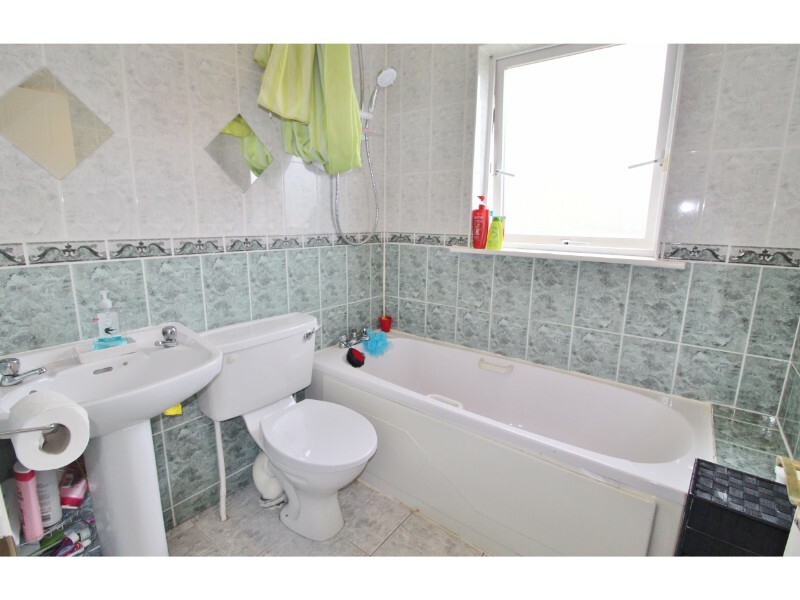 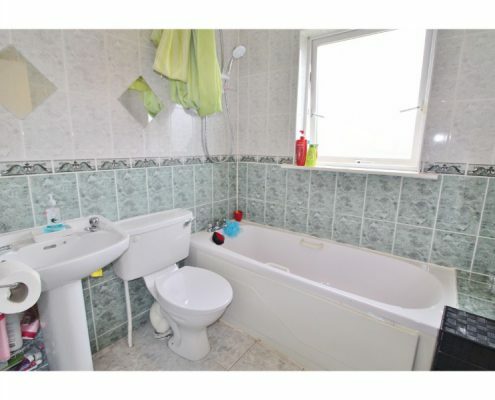 Bathroom: 1.88m x 1.86m with double glazed, obscure glass windows to rear aspect, ceramic tiled flooring, bath with Mira shower over, pedestal hand basin and W.C.
Rear Garden: Private, south-west facing mainly laid to law with paved patio area and raised flower beds.